Yuen Yung says data provides a foundation for analyzing how the rental market may evolve. HOUSTON—Future trends in the rental investment industry have become increasingly important as many investors look for the best financial options. 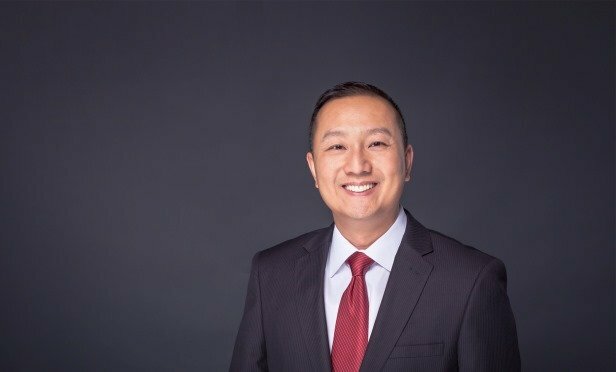 For this reason, alternative data sources can often provide the best insight into how the market will evolve in the near and distant future, Yuen Yung, CEO of Upside Avenue, says in this exclusive. For example, because hurricanes pose a threat to investments in this area, investors should be aware of how they are selecting investment properties to ensure that proper diversity is maintained. Many financial analysts recommend having between 10% to 30% of a portfolio committed to real estate holdings in order to be properly diversified. Morgan Stanley reported a 35% rate of real estate-related investments among its millionaire clients in 2014. And, while the Yale University endowment which has produced an average annual return of 11.8% during the last two decades, reports having between 9 to 20% of its portfolio held in private real estate. Moreover, in recent years, tax law changes and demographic shifts have affected the real and perceived value of homeownership, resulting in a huge surge in the demand for rental markets. The passage of the 2017 tax bill removed the benefit of favorable treatment of mortgage interest for most owners, which essentially means that there will be no difference between renting and buying a home, Yung observes. In addition, Census Bureau figures show that in the second quarter of 2016, the overall homeownership rate dropped to 62.9%, a record low in more than 50 years. By 2025, this number is expected to decline further to 60.8%, the lowest level since the 1950s. Additionally, more than 4.6 million new rental units or 350,000 per year are needed by 2030 to meet projected demand, which far exceeds the average output of 244,000 units that have been added every year for the last four years. With this imbalance between projected supply and demand, along with the tax law change, it becomes highly likely that investment in income properties will remain a safer bet than most other investments in today’s market, Yung says. It is also worth noting that by 2013, multifamily housing starts had returned more than 70% of the pre-recession peak. Finally, with the stock market experiencing recent turbulence, many consider real estate to historically be a safer investment than other options and often with a better performance. The following trends are likely to impact the rental industry in the coming years, Yung indicates. Home prices are at an all-time high. In addition, more than 5 million Baby Boomers expect to rent their next residences by 2021. In contrast, Millennials often opt for living arrangements that are located near urban centers, don’t mind smaller spaces, are delaying marriage and children far longer than other cohorts, find the effects of the last housing collapse daunting, and often have an average $42,000 in student loan/credit card debt impacting the ability to take on new debt, according to Northwestern Mutual. Generation Z is hot on the trail of the Millennials, and that group is just beginning to enter the rental and student housing market. While there is no guarantee that these trends will lead to any specific outcome with the rental market industry, the data seems to indicate there will be stable demand for rental units for the foreseeable future, and it is quite likely that this demand will exceed supply, Yung concludes.